Friday, May 18, 2018 5:00p.m. Location: 560 Elm Avenue, Hillsboro, WI Watch for Auction Signs. This is a combination of great merchandise, NEAT AND CLEAN FURNITURE, HOUSEHOLD ITEMS, and MORE! 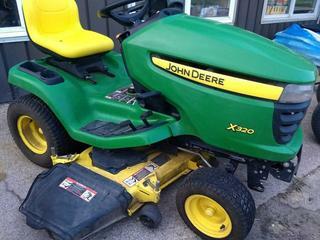 OTHER CONSIGNMENTS PENDING. Check our Facebook regularly for updated pictures of merchandise. THIS IS NOT A COMPLETE LIST. Antiques/Collectibles: Cosco stool, trunk, 4-horse hitch clock, silver dollar clock, Clydesdale hitch, elec fireplace, desk, albums from the 1950’s & 1960’s assorted music style, many John Deere, Semi & Heston rodeo belt buckles, State plates, dishes. Misc/Household: Kenmore washer & dryer, couch, chair w/ottoman, rocker recliner, queen size bed, dbl bed, chest of drawers, 3pc wall unit, dining room table w/6 chairs & 2/leaves, china cabinet, roll top desk, recliner, rolling stand, kitchenware, holiday decorations, dirt devil, 2 drawer filing cabinets, card table w/chairs, coolers, steins, box fans, mirrors, various household goods & decorations. 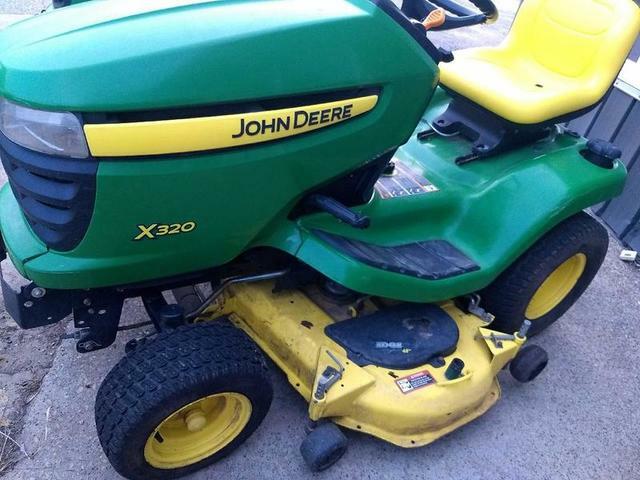 Sporting Goods/Yard/Shop: John Deere LA 140 lawnmower with 23 HP and 48-inch deck, John Deere X 320 with 48-inch deck (both mowers serviced), Craftsman shop vac, Craftsman air compressor, Dewalt drill, Hitachi circular saw, patio table w/4 chairs, Kenmore gas grill, dbl seat glider, garden elves, yard windmill, birdbath, garden decor. 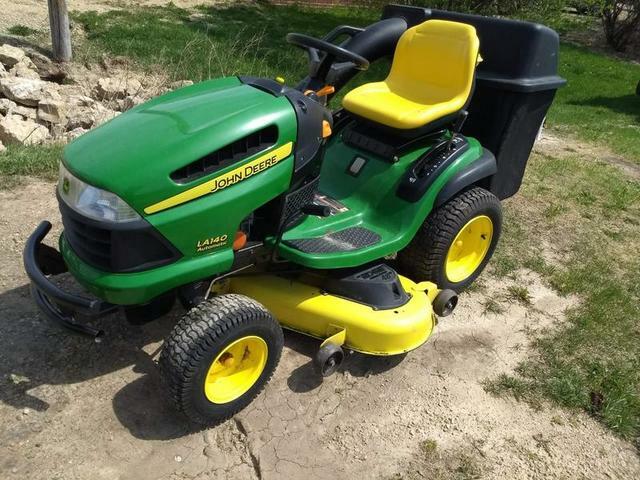 2-wheel cart, floor jack, saw horses, garage fluids, battery charger, 1.5 ton floor jack, Stihl weed trimmer, long handle yard tools, 6’ step ladder. TERMS: All items will be paid for the day of sale in cash. Personal checks will be accepted with proper ID. Announcements made the day of auction take precedence over printed advertisements. Items with title that are paid for W/cash will be released immediately. 5.5% sales tax will be collected. Wagenson Auction Service, LLC is not responsible for accident personal injury or damage to property. 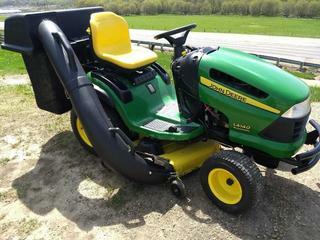 Wagenson, Registered Wisconsin Auctioneer #1237, W9116 County Highway C, New Lisbon, Wi 53950.